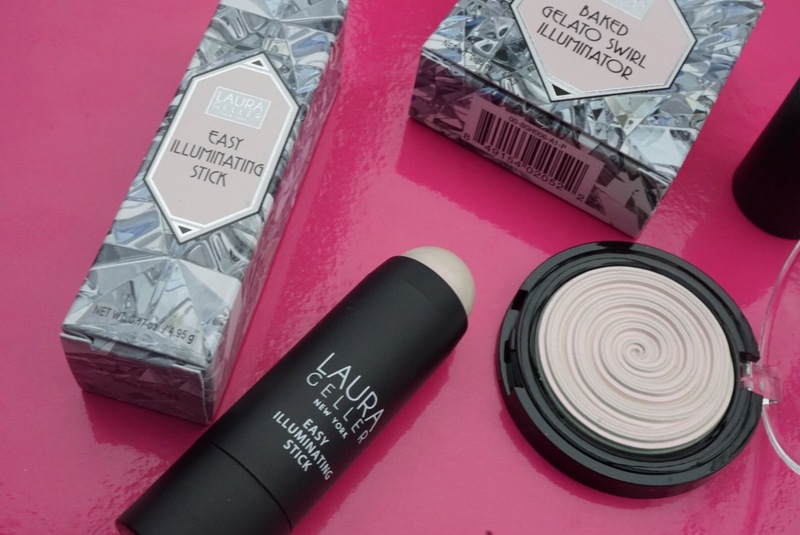 Laura Geller Gelato Swirl Illuminator in “Diamond Dust” swatches and dupes! The following item was purchased – the codes are affiliates. DUDE! its the year of the unicorn!!!! its the year where we all want to be a mythical whatever the hell – holographic – prismatic – duochromy… we might as well call Instagram “the capitol” (hunger games reference people). Anyway this ish sold out and I’m here to preach the gospel of: you can get the same for lesssss! First off: I can’t find my MONSTER from COLOURPOP – I believe I was doing swatches the other day and I CANT FIND IT for the life of me! but Looxi’s STRIPPED and Devinah’s MARINA are very close dupes. 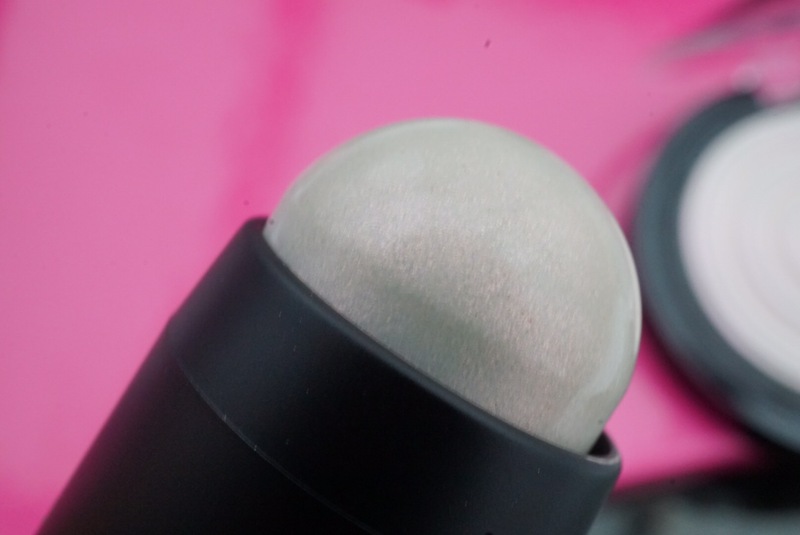 The Stick is very very light – it almost doesn’t provide much pigmentation or even shimmer but it does provide a base for the highlighter to adhere to and be brighter. It does take forever drying. 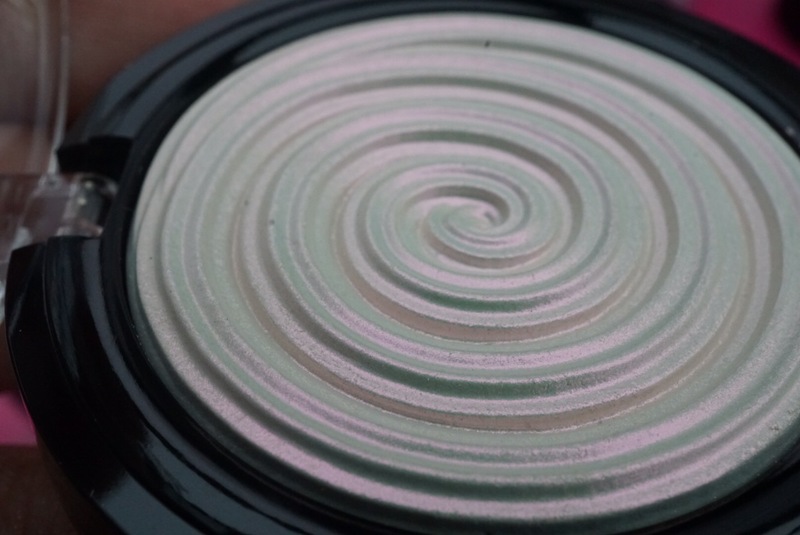 The Gelato Swirl highlighter is a gorgeous white base with a iridescent pink shift – its bright and applies evenly. 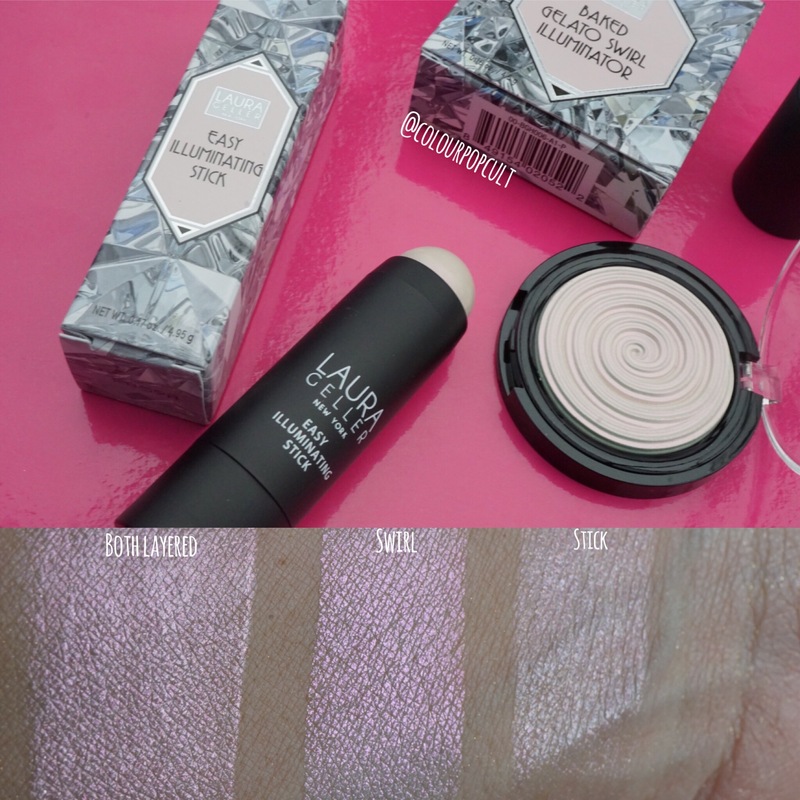 Both items cost $35 but the highlighter is currently sold out. The indie alternative are just slightly less bright but equally color shifting, save 10% at LOOXI with code BEAUTYCULT10 and 20% at DEVINAH with code BEAUTYCULT. 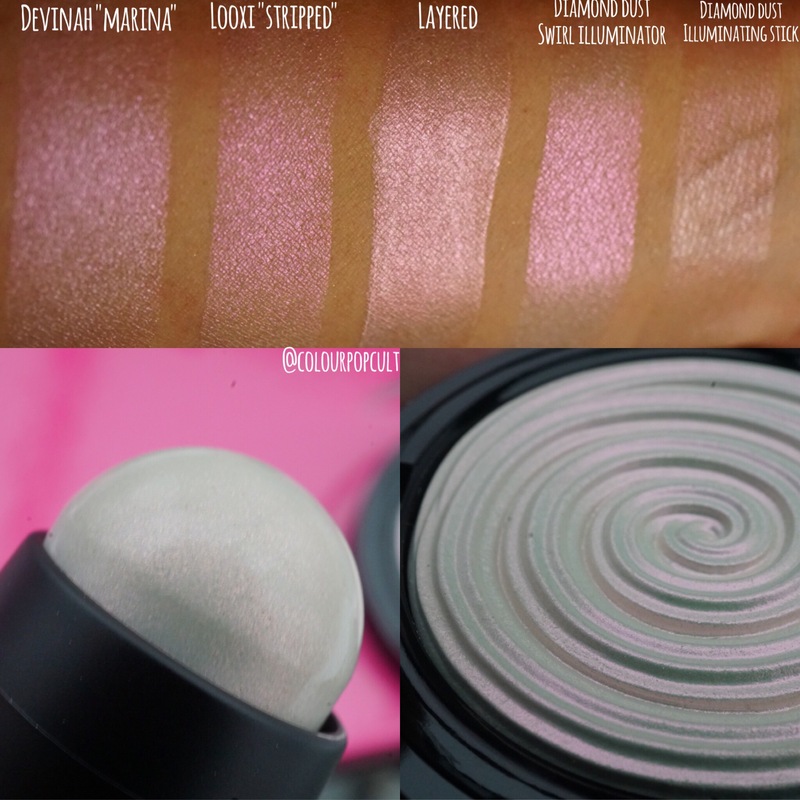 Previous Devinah Cosmetics Haul swatches and discount code! Next Cover FX Custom Enhancer Drops swatches!